Web site Development :: Internet Services :: PRO IT Service S.R.L. - Choose a professional and accessible service for your online image! The Web site Development service is a process that could significantly improve your company efficiency. The Web site is your online business card, remaining available 24 hours a day, 7 days per week. It gives you the possibility to freely advertise your products and services, bringing you new contacts, clients and business partners. In summary a Web site, built in the way we are proposing, can bring you more profit and a better performance in business. The Web site profitability reaches its optimum level when it is built and promoted online by an experienced company in the field. The PRO IT Service team consists of an information architect responsible for content organisation, a reputable new media designer for building a professional interface with accent on usability and last but not least an internationally recognized Web development team (see Portfolio). For better understanding of how your Web site should be designed and its business objectives, we conduct a number of online sessions using an instant messaging platform or a state of the art web conferencing application. During these sessions we will listen to your proposals, offer ideas and professional support until we have a well thought-through document to act as workflow for the Web site Development process. Any web site needs an internet address (e.g. http://www.domain.com/) - this is known as an internet domain. This domain could have various extensions (e.g. '.com') and is registered through a service called a domain registrar. The domain cost is established by the domain registrar and depends on the extension (e.g. '.com' - less than 10 USD/year, '.ro' - under 50 USD, for now without yearly rate). Designing the graphical interface is another important aspect in building a Web site. The process is complex as it has to express the company character, harmonize text and graphical components and also to fit the current Web site usability rules. For assuring perfect compatibility on any platform and geographical area, the source code should respect the rules and guidelines established by the World Wide Web Consortium (W3C), international authority in Web standards development. The search engines compatibility standards and rules are constantly being improved so you need a competent partner to manage your Web site development assignment. 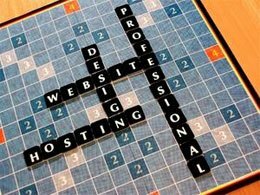 To make it available to the public, the Web site once built, needs hosted on a final location called a Web server. PRO IT Service has enjoyed a successful collaboration with a prestigious American company, with over 23 years experience in this field. To make it popular, the Web site has to be advertised by various online marketing methods. The service we are offering assures a Google listing in less than 30 days. Does it sound incredible? Have you heard of Web sites which have to wait months before being shown in Google or others who invest a fortune in advertising campaigns? Just give us a try and you will see yourself! Consult our portfolio and see what other companies trust us for this work.